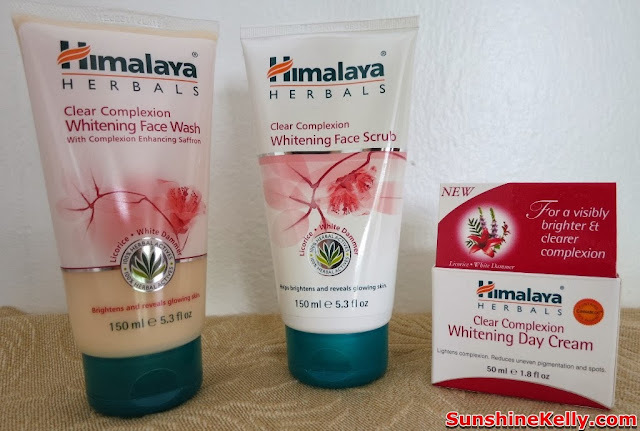 I just try out this Himalaya Herbals Clear Complexion Whitening skincare range. It has been introduced in the market for quite some months ago, now only I have the time to try and blogged about it. Basically, Himalaya Herbals Clear Complexion Whitening range consists of Face Wash, Face Scrub and Day Cream. 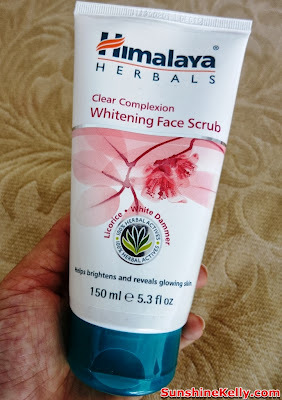 This is a soap-free, daily use face wash that cleanses and clarifies your skin of impurities, giving you a clear, radiant and even complexion. It is not drying so my skin feel comfortable after the wash. It serves as a good everyday facial wash for me and its suitable for all skin type. Saffron, well-known for its complexion enhancing properties helps clear skin of spots and blemishes while Licorice and White Dammer help regulate melanin synthesis restoring your skin's natural fairness. Pomegranate nourishes while Cucumber soothes your skin. Use morning and evening for visibly brighter, clearer and glowing skin. Usage: Moisten face and massage all over, avoiding the delicate eye area. Wash off and pat dry. 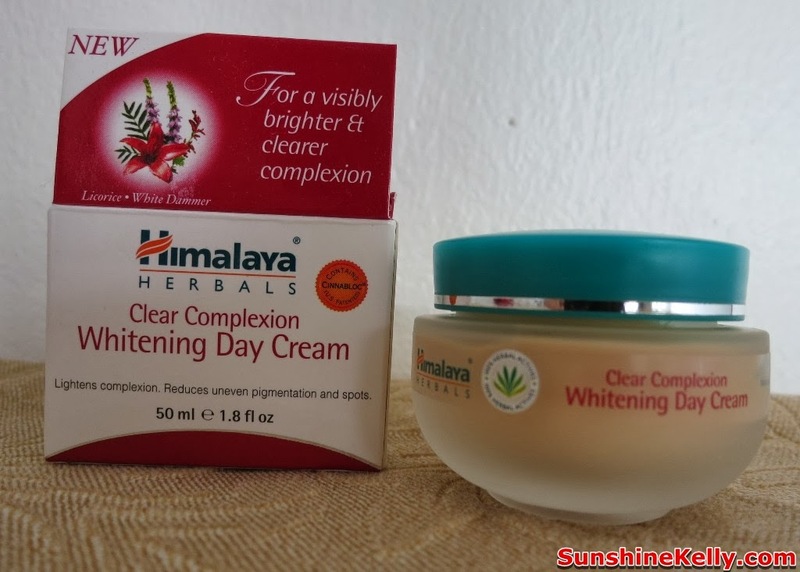 For best results, follow up with Clear Complexion Whitening Day Cream. Key ingredients: Pomegranate (Punica granatum) is a rich source of polyphenols. Pomegranate softens, hydrates and nourishes the skin. Saffron (Crocus sativus) imparts a rich color and is used in various skin care preparations. It is very effective in the treatment of acne, pimples, blemishes and black spots. Licorice (Glycyrrhiza glabra) contains glycyrrhetic acid and flavonoids that have soothing, regenerative and antioxidant properties. Applied topically, Licorice helps reduce sebum, relieve itching, swelling and redness. It improves skin tone and whitens skin. White Dammer (Vateria indica) is a rich source of flavonoids and phenols which exhibit potent antioxidant activity. 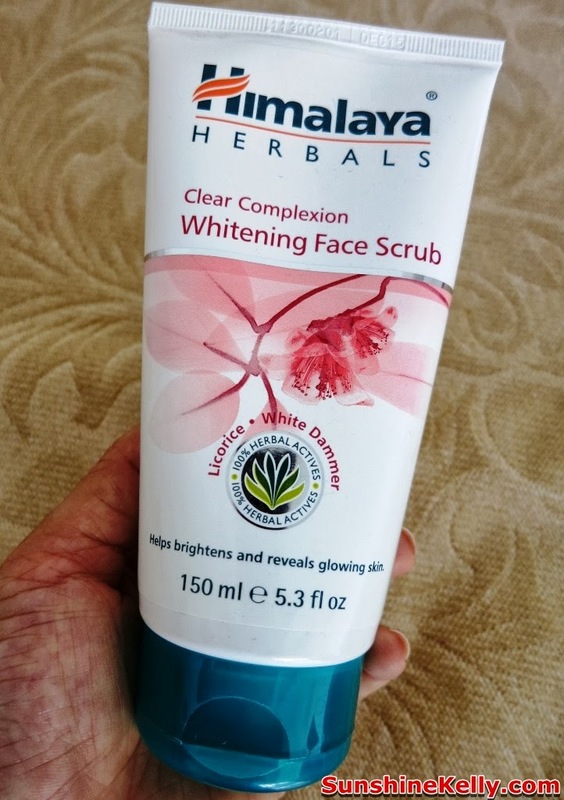 It soothes and moisturizes damaged skin, and enhances and whitens the complexion. If you are looking for a scrub that is reasonable price and also gives you a clean and smooth feels then you can try this. It helps to scrub gently or mild exfoliants that reveals glowing skin. When the dead skin cells are cleanse the skin will looks clean, fresh and glowing. 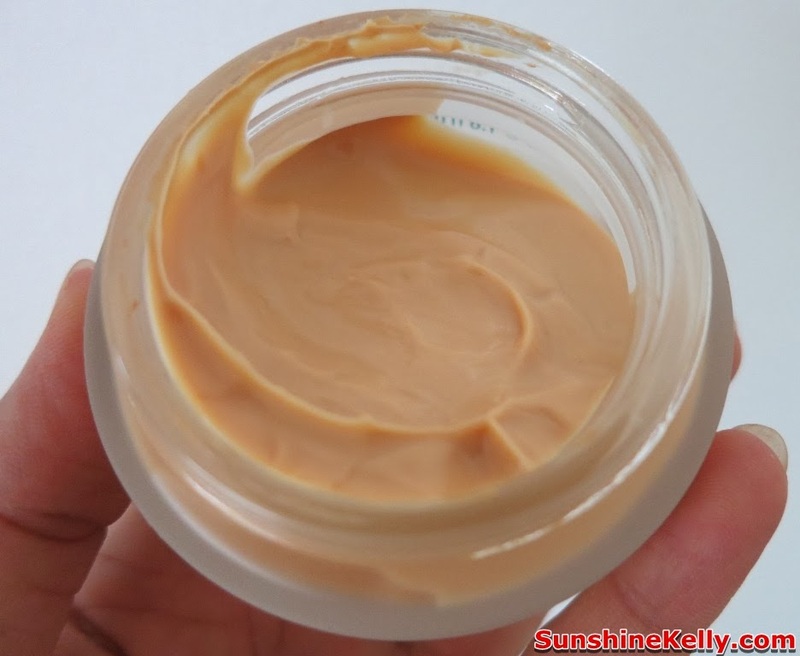 It is creamy base and not drying. Licorice and White Dammer help regulate melanin synthesis while Apricot granules gently scrub away dead skin cells, blackheads and deeply embedded impurities. Usage: Gently massage with fingertips in a circular motion over damp face and neck, avoiding the area around the eyes. Wash off and pat dry. Use 2-3 times a week for healthy, glowing skin. For best results, cleanse regularly with Clear Complexion Whitening Face Wash and follow with Clear Complexion Whitening Day Cream. Key Ingredients: Apricot granules gently exfoliate dead skin cells. Licorice helps regulate melanin synthesis and White Dammer lightens skin, clears spots, enhances complexion and gives the skin an even tone. This Day Cream is not bad but is not my preference. I think is average only. First of all I am not used to apply light brown cream on my skin. It is not a foundation. It is a light and non greasy cream, when I applied it leaves a layer of shine or glow on my face and its enriched with extracts of Licorice and White Dammar. I don’t really see a big whitening effect. It is suitable for all skin types and when I use it there is no break out or allergy. Usage: Massage gently on cleansed face and neck, morning and night. Overall the Himalaya Herbals Clear Complexion Whitening skincare range helps to cleans and clarifies the skin complexion gradually. For those who is allergy to licorice or acidic ingredients you might want to avoid this because all the three products contains licorice. 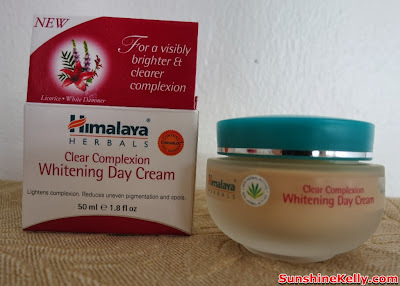 It is a mild whitening skincare ranges from herbal ingredients so do not expect a drastic whitening effect at least is safe to use and the price is very affordable. I tried the turmeric face wash and it gave me tiny cystic pimples. But my got used to it after and it stopped occuring. 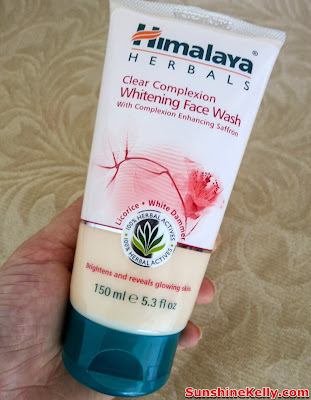 I'm not into whitening products but this variant of Himalaya made me want to try it. I find the container design decent enough. If we avoid the delicate eye area, what will happen to the remnant of make up you've put there? It means it will not be washed? The face scrub looks appealing too. 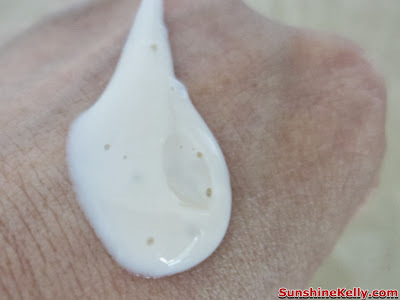 The day cream is unique with it's color. It's my first time to see a cream that isn't white especially for a day use.